Asia is commonly depicted as the most rapidly growing and economically dynamic region in the world. John West’s book offers a useful corrective to the Asian Century hypothesis and a strong challenge to the notion that the 21st century will inevitably belong to Asia. Asia is commonly depicted as the most rapidly growing and economically dynamic region in the world. But what of Asia’s future? If you are to believe the hype of the Asian Century thesis, it is a populous and prosperous region facing a future of unstoppable growth with a burgeoning and increasingly wealthy middle class. John West’s book is much more pessimistic. He challenges the Asian Century shibboleths: that Asian economies will continue to climb the development ladder and play catch up to world leaders; that they will transition seamlessly from middle-income to high-income societies; and that as their economies continue to grow, they will become more democratic. Six years on from the Gillard government’s “Australia in the Asian Century” White Paper, a reassessment is necessary and this book provides it. It argues that Asia’s economic success story will not necessarily continue. Only a small proportion of Asia’s citizens can be classified as middle class and, in fact, the middle class is retreating in some countries. In West’s view, Asia’s middle-class society is a myth. Around half of Asia’s population is now stalled between poverty and the middle class. West goes as far as to argue that Asia is suffering from “stunted economic development”. He points out, for example, that no major Asian economy, except for Singapore, has caught up with global leaders like the United States and Germany in terms of Gross Domestic Product (GDP) per capita and living standards, and there is little likelihood of such catch-up occurring in the foreseeable future. Apart from Hong Kong and Singapore, these countries are not open market economies. Government and business elites have been the main drivers of economic development but they now represent the main drag on further growth. In West’s view, if Asian countries are to avoid the middle-income trap and transition from middle-income to high-income status, they will need a sophisticated set of policies to deal successfully with a complex range of challenges. He elaborates on seven of these in penetrating detail. Asian countries must, for example, capture greater benefit from global value chains (GVCs) by opening markets, strengthening human capital and growing technological and innovative capacities. They must also build better models of urbanisation that do not simply shift the rural poor into urban poverty as well as overcome social discrimination, prejudice and persecution on religious, gender and ethnic grounds. Other challenges will be to deal proactively with demographic dilemmas and move beyond deeply flawed politics. This would mean transitioning to democracy and better governance while rejecting the repression, censorship and human rights abuses that abound in many Asian countries. Finally, Asian countries must clamp down on their participation in the global criminal economy, including by state actors, and build a better institutional framework for intra-Asian cooperation. In West’s judgement, Asia’s prospects for overcoming these challenges are poor, making for a deeply negative outlook for the region. Even if Asia outstrips the West in total economic size in the future and accounts for more than half the global economy, it will still not have exceeded American and German GDP per capita, or their economic, business and technological know-how. Indeed, the book’s predictions are bleak. Asia’s major economies face a future of permanently stunted growth if measured in GDP per capita terms and levels of economic, business and technological advancement. As for major players such as Japan, it has failed to fully reform and open up its economy at the same time as deal constructively with demographic decline. Catch-up economies such as Malaysia, Thailand and Indonesia lack indigenous educational and technological capacity, while China is paralysed by the political and social risks of undertaking reform. Donald Trump’s contribution will be to undermine America’s core contributions to Asia’s growth and development. 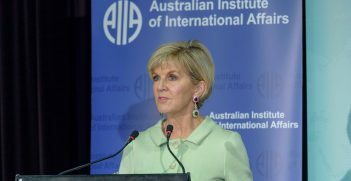 West argues that Asia needs fundamental political change: the formation of strong civil societies, trade unions and assertive youth in order to wrest power from entrenched elites and put it into the hands of all the citizens. In fact there are no “full democracies” in Asia. Even ostensibly democratic countries such as Japan fail on a number of counts. Like South Korea, it is “flawed”, only one rank above the democracies of Malaysia, the Philippines and Indonesia. In West’s view, Japan and South Korea are “oligarchic democracies” where big business exerts influence over policymaking by colluding with government. The author’s fundamental contention is that as long as Asian countries shy away from fundamental political reform, their economic development will remain stunted. A book such as this, which takes a broadly-based view of contemporary economic, political and social trends in Asia, inevitably stresses commonalities rather than differences between countries. However, what the book gains in breadth it loses nothing in depth. West balances broad generalisations by in-depth analysis of specific features and failings of individual countries. If nothing else, the book offers a useful corrective to the Asian Century hypothesis and a strong challenge to the notion that the 21st century will inevitably belong to Asia. 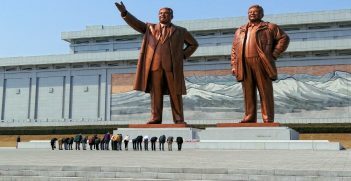 In holding this view, West is joining a small but growing band of Asia sceptics who point out many of the same shortcomings in Asian economies, polities and societies. 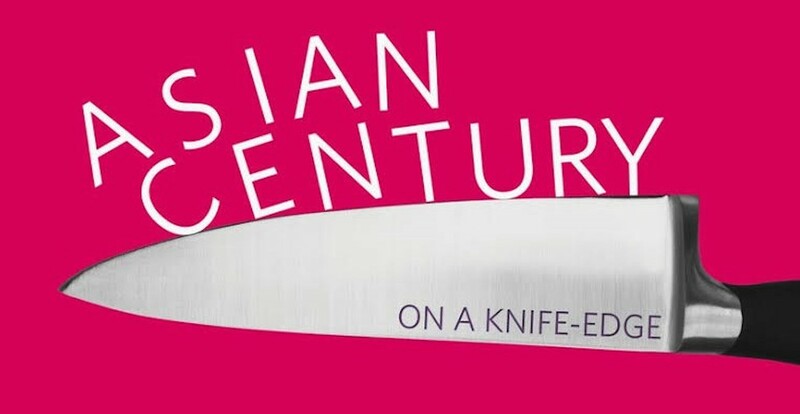 John West, Asian Century… on a Knife-edge, Palgrave Macmillan, 2018.
Review by Aurelia George Mulgan, Professor in the School of Humanities and Social Sciences, University of New South Wales, Canberra. 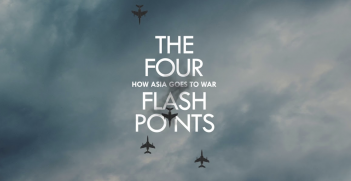 Brendan Taylor’s The Four Flashpoints: How Asia Goes to War is a model of policy-engaged scholarship that should be required reading for anyone interested in understanding contemporary threats to peace in the Asia-Pacific region. North Korean leader Kim Jong Un has appointed his sister Kim Yo Jong to a position of power, further solidifying the family dynasty and signalling that he is here to stay.